We read them, we loved them and now we can’t stop talking about these phenomenal books! These are the novels that keep us up at night thinking about what happens next – they’re multi-layered, complex and beautiful reads that will stay with you. If you’re at a loss for what to read or want to find a great book for your book club, we’ve got you covered! Pachinko is a popular Japanese game of chance – a metaphor for life itself, as American-Korean writer Min Jin Lee suggests in her sprawling and gripping family saga about Koreans living in Japan, set over eight decades and four generations. 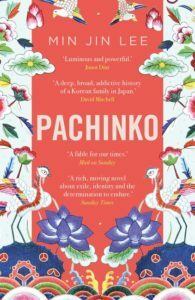 An epic tale of family, identity, love, death and survival, Pachinko has captured the hearts of all who have read it, first here at HarperCollins Australia and now all across the country. It has been internationally acclaimed, shortlisted for the National Book Award in the US, and was one of the New York Times’s 10 Best Books of 2017. The author, Min Jin Lee, is a Korean – American author and journalist who has toured Australia to much love and acclaim in 2017, and will be returning in 2018. 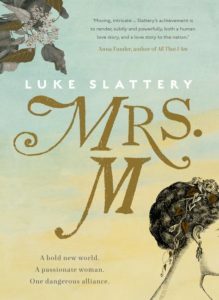 From one of Australia’s foremost journalists, Luke Slattery, comes a bravura literary achievement, a rich and intense novel of an imagined history of desire, ambition and dashed dreams, and a portrait of one passionate, unforgettable woman – Elizabeth Macquarie. It is a stirring, provocative and thrilling novel of passion, ideas, reforming zeal – and the tragic failure of the great utopian Australian dream. ‘Every love story has at its heart a vision of inherent human worth in the beloved; Slattery’s achievement is to render, subtly and powerfully, both a human love story, and a love story to the nation.’ Anna Funder, author of All That I Am. 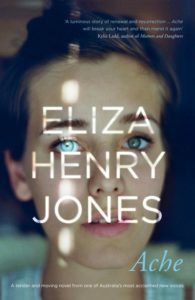 Eliza Henry Jones’ remarkable debut novel, In the Quiet, was shortlisted for the 2015 Readings Prize for New Australian Fiction, shortlisted for the NSW Premier’s Award and longlisted for the ABIA and Indie Awards. Eliza is such a talented young writer, wise beyond her years, and her second novel, Ache, the story of the aftermath of a devastating bushfire, was just as tender, heartwrenching and lovely as In the Quiet. 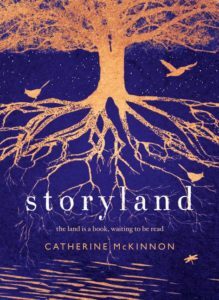 Storyland is an ambitious, remarkable and moving novel about who we are and our connection to this land. Set on the banks of Lake Illawarra and spanning four centuries, this is a novel of people and place, which tells, ultimately, the story of Australia. Told in an unfurling narrative of interlinking stories – in a style reminiscent of David Mitchell’s Cloud Atlas – it is a loping, circular story which begins – and ends – in 1796, when a young sailor, Will Martin, goes on a voyage of discovery with Matthew Flinders and makes first contact with the natives of the Illawarra. All the stories that follow, and the characters within them, are all connected – not only through the same land and water they inhabit over the decades, but also by tendrils of blood, history, memory and property. Jennifer Byrne, who reviewed it for the ABC’s Book Club in 2017, called it ‘a stunning debut … this is something quite extraordinary, thoughtful, smart, seriously ambitious’. Other reviewers have remarked on the resonances with Kate Grenville, Peter Carey and Tim Winton. Readings called it ‘a worthy contender for the Great Australian Novel – encompassing, ambitious’. It was longlisted for the Indie Book Awards and named as one of ABC’s The Book Club’s Five of the Best in 2017. 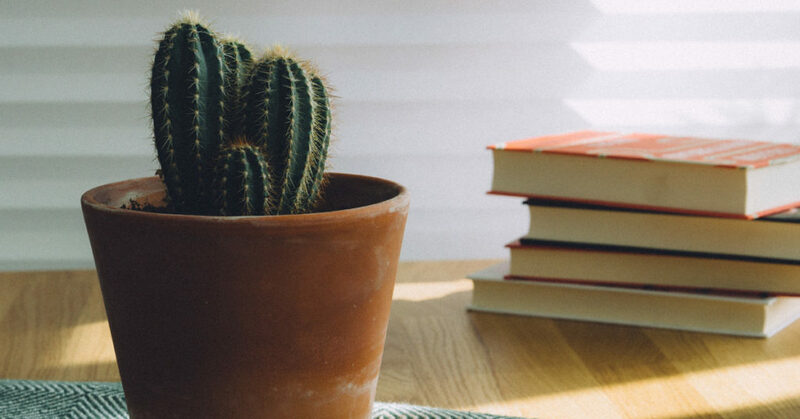 This entry was posted in Recommendations and tagged Ache, Book Club, Books, Catherine McKinnon, Eliza Henry-Jones, Luke Slattery, Min Jin Lee, Mrs M, Novel, Pachinko, Reading, Storyland. Bookmark the permalink. « 7 Buddy Reads About Friendship! "4 Books We Can’t Stop Talking About"